Every day we see new threads asking about the same problem, "I'm getting full screen ads on my phone, please help me to stop them!". They are annoying as hell but fortunately there are different ways to find the culprit and stop those ads. 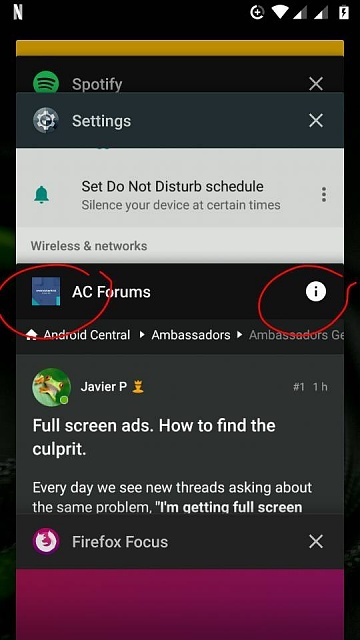 I "infected" my backup phone with a couple of apps known to push these ads and with the help of the Ambassadors Team and feedback from the forums this is what we found. This problem is caused by an app that we downloaded, so the way to fix it is to find the culprit and kill it with fire. Simple. And by fire I mean, go to settings - apps - select the app - force stop - storage - clear data and only then hit the uninstall button. In my experience it took a few days before the ads started to show up (sneaky devs), so try to remember which apps were installed or updated in the last week and there's a big chance the culprit will be one of them. As a general rule, every time you install a new app or have any doubt about those already installed check the reviews on the Play Store. Usually you'll find lots of negative reports for this kind of app. Oh! and don't forget to leave your own review once you find which one gave you those pesky ads. Now let's try to find the culprit. (You can see screenshots for all these procedures on my next post). Some apps/ads leave a record on your recent apps overview, so right after getting an ad hit the recent apps/multitasking button (better before closing the ad) and search for a card with this ad on it. If you find it, long press the small icon top left on that card, tap the 'info' icon and see which app it opens. If this didn't work open the Play Store, go to 'My apps & games' in the side bar, select the 'Installed' tab and change the way apps are sorted, selecting 'Last used'. The app pushing that ad should be listed at the top of that list or maybe right after a system app. Unfortunately some devs managed to avoid leaving these records and we'll need to dig deeper. Yeah, those guys are clever and know how to hide any trace. Depending on your phone and version of Android you'll need to enable the Developer Options to dig deeper. If you haven't enabled this option yet go to settings - about phone and tap 7-10 times on 'Build Number'. That's it, now they will be available when you scroll all the way down your general settings. Don't worry, just don't go wild enabling options in that menu and remember to keep the toggle off - the options we need will be available even when it's off. After getting an ad go to settings - developer options - running services and see which apps show up on that list. Can you find any app that shouldn't be there? Any running app that you didn't use recently? This list can give you clues of any app that is running in the background when it shouldn't be, and probably our target will be there. I found that apps pushing ads like to run all the time. 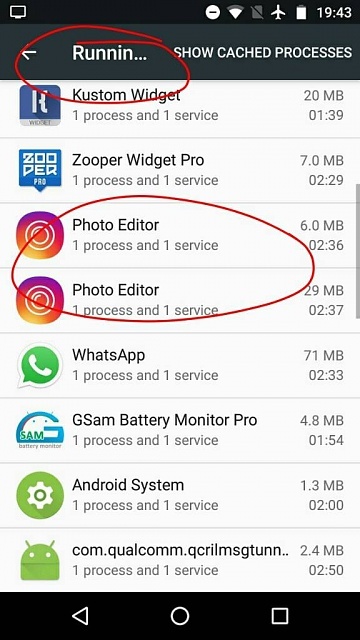 This is normal for system apps, launchers, keyboards, Google or IM apps, but unacceptable for photo editors or compasses (my choice when installing nasty apps). So, we need to check which apps show up high on our RAM/Memory Usage list. This is easier said than done thanks to Android fragmentation and OEMs taking weird decisions. Depending on your phone and Android version you'll need to use different options to check your memory usage. - In old stock(ish) Android versions go to settings - memory. - Recent Android versions buried the memory settings in the Developer Options. - Some launchers can create an activity widget to access the memory usage screen. - Some manufacturers have a similar option under 'Device Maintenance' (why Samsung, why!?!) or something maybe named Smart whatever (a.k.a. useless RAM cleaners). Aaaaanyway. I hope you find this option in your settings and if you need help let us know which phone you have and we'll try to show you the right steps. 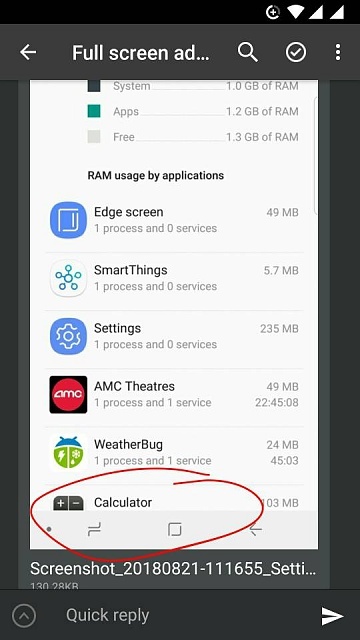 Once you get that list with the high RAM usage see which odd apps compete with your system ones. 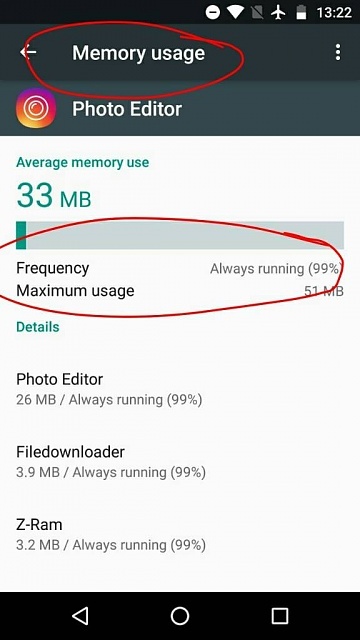 Most likely you'll see an app that is not supposed to be there and if you select it you'll see that its frequency is close to 100%. And now we are back to the 'kill it with fire' thing! 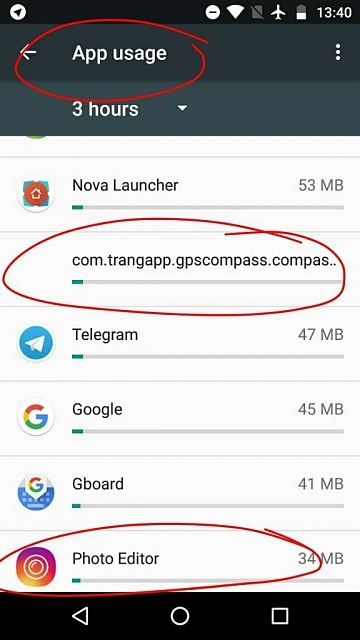 Did you manage to find the app that was pushing those ads? Did it work? Do you need any help? Let us know how it went - your feedback is the most important thing when trying to fix this kind of problem. Golfdriver97, belodion, mr_master and 2 others like this. These screenshots were taken on a Moto phone running Nougat so, depending on your device and Android version, your screens would look a bit different. I'm curious if the fact that, say in this example, Photo editor running all the time may also account for decreased battery performance. Now, something like this wouldn't cause an immediately noticable drain, but one where you would normally plug in at 7 pm, and you suddenly are short an hour or so. Not necessarily. I didn't see any of those apps showing a high battery usage, but they were installed on my backup phone which I don't use or monitor too much. I have a few apps on both my phones that run all the time (90%+ frequency). Nova, Zooper, Google, Gboard, some IM app, even Zedge run all time, and none of them showed a high battery usage. I suppose if the app was properly coded, Android hibernates it due to not being in the forefront. Exactly. A battery hog would be very easy to detect, and kill. This morning I got a pop up message when I unlocked my phone. It wasn't a FULL screen. I accidentally touched the screen and it disappeared. Could this be an ad or something else? Oh and it disappeared before I could read it. That's why I'm like paranoid because idk what it was. It could, but difficult to know for sure. Try to take a screenshot next time it shows up and post it here. Just in case you could try the steps posted above and see how it goes. Thanks man. I'll try screenshotting it IF I can get it to pop up again. Very frustrating because I wanna know what the message was. Tap the recent apps/multitasking button and see if the popup left a card there. Some apps/ads leave a record on your recent apps overview, so right after getting an ad hit the recent apps/multitasking button and search for a card with this ad on it. If you find it, long press the small icon top left on that card, tap the 'info' icon and see which app it opens. Unfortunately some devs managed to avoid leaving this record and we'll need to dig deeper. Yeah, those guys are clever and know how to hide any trace. At the very least apps should warn and seek permission for homescreen popups and notification bar warnings. You deny the permission and just uninstall. Ok so I became a developer and have been monitoring the active apps after I get a pop up ad. I've forced stop and deleted lots of apps including some samsung apps that I've heard could be problematic. Now the only remaining apps don't appear problematic and I'm still getting the ads. What now? You could post a screenshot of your memory usage screen and see if anyone recognises any suspicious app in there. Also, see this other thread. For some people the culprit was the health tracker app. I hope these attachments appear. Took a quick look to that Alarm Clock Xtreme app and many reviews report constant ads after a recent update. I'd uninstall the app temporally and see what happens. I tried that. Lwts hope for no more ads. But I hqve had that app for a while and ads just started. Let's see how it goes. Many users complained about ads being pushed recently and others had problems even after paying for the ad-free version. Keep us posted. Ugh. No good. Ads are still here. Here is the latest running qpps after the last add. I thought the Smart Things app was the culprit before. I deleted the normal app. There is an additional system app that can't be deleted. I have forced stop on the app and denied any permissions. Ugh. Most apps on your screenshot are from Samsung, I wonder how many stock apps are starting to push ads. This is really frustrating. I might get a different phone next time. Seems like the ad problem is a samsung thing. Update. It is strange because if you look at the screenshots above it is not there, but it appears it was a calculator app. After looking at all the currently running apps a million times, one of the times I notoced the calculator app and realized that I dowbloaded it not too long ago. I deleted it and since the haven't gotten any adds. I hope this is the end of it for me. It has been super annoying since getting this app and getting these ads. thecomicbookandme and 1lamore like this. Who is using the Stylo 4/plus now? How can I assign a file name to a picture before it is saved? Anyone able to do wireless tethering on the Note 5?